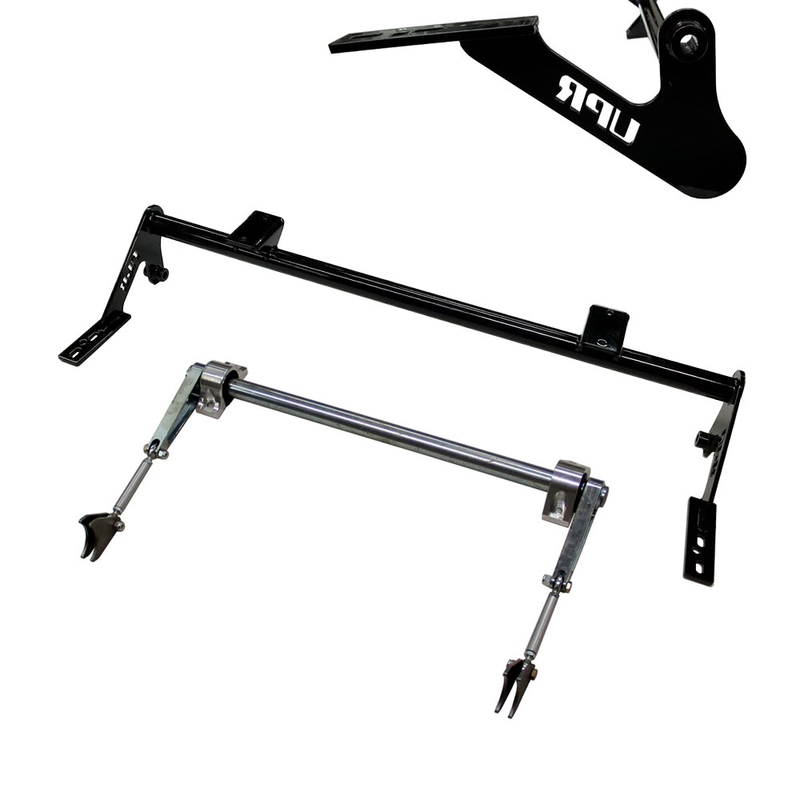 UPR's all new Pro Street Anti-Roll Bar kit for all 05-14 Ford Mustang's eliminates body roll, stabilizes the car and improves the consistency going down the track and on the street. Bolt in mount uses all existing factory locations. Clears the factory and/or aftermarket exhaust and suspension components. Can be used at the track and on the street. Installs in 2 hours, welding of axle mounting tabs is required. 2005 2006 2007 2008 2009 2010 2011 2012 2013 2014 5.0L 4.6L 5.4L 5.8L GT Bullitt GT500 Mustang Shelby Roush Saleen & Steeda Vehicles. No one else can stack up to the bold clean styling of our aftermarket Billet dress ups, Street Strip & Racing Suspension & Performance Parts for your late model American Muscle Car!